It’s 2012 and time for the new monthly issue of Out & About Magazine! It’s California’s South Bay premiere entertainment guide with several great articles. 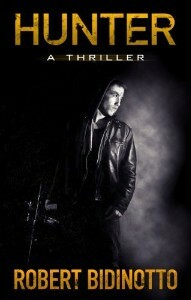 My monthly book review column features Hunter by Robert Bidinotto. Don’t miss it! You will find the review on pages 37-38 along with my monthly crime safety tip. Out & About Magazine features a pdf file or online digital version for viewing. I encourage you to read all the different articles. This entry was posted in Book Review and tagged author jennifer chase, book review, hunter, out and about magazine, robert bidinotto, thriller. Bookmark the permalink.